Kleinburg Diaries: It is a ... GIRL!!!!!!! 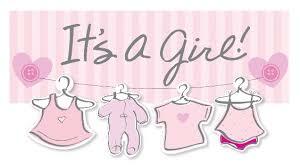 It is a ... GIRL!!!!!!! As I mentioned in my last post, during our last ultrasound (20 weeks), baby didn't cooperate for us to know the gender. But the most important thing was to know that our baby is healthy and developing accordingly. However, the technician could not confirm the gender. She said we would need to check during the next ultrasound - scheduled for the end of February. Honestly, I would not be able to wait until the end of February to start buying clothes and the things I want for my baby. Therefore we searched online for some options, private clinics that perform a 3D Ultrasound and are able to tell you the gender of the baby. We chose a company that is located close to our workplace, was open after hours and most importantly had good reviews. They have so many options with packages that include live broadcasting, teddy bear with the heartbeat of your baby, pictures, DVD and the list goes on and on. We just got the gender determination special. And it worked! 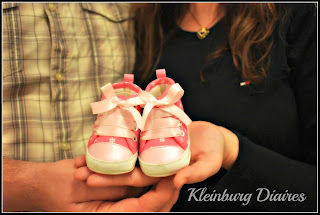 We are having a GIRL!!!!! Also, it was the first time we were able to see her face! My husband was more emotional than I was,... it was a very special moment for us. 2017: We are having a baby!!! !